February 22, 2017 February 21, 2017 / Elizabeth T.
Back again, and here’s another recap of New York Fashion Week, though this time’s post is more focused on the fashion and outfit aspects of the whole trip. 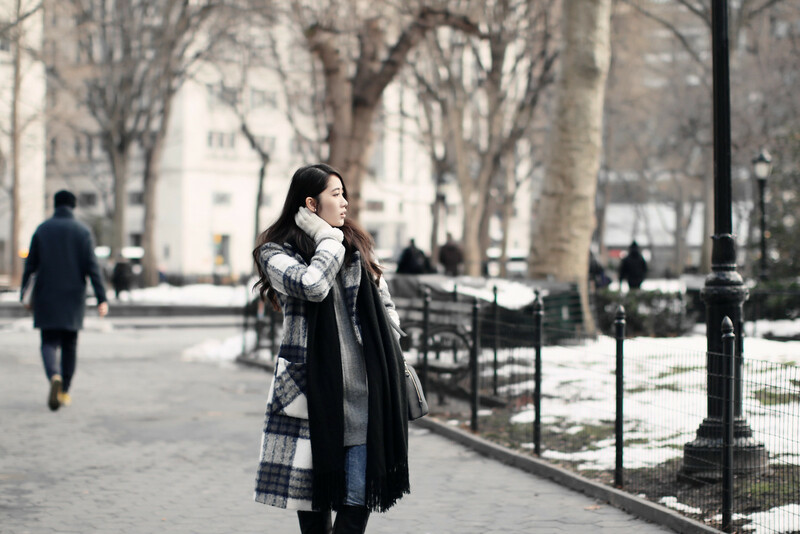 During New York Fashion Week, the weather conditions were definitely not on our side to say the least! At least from a LA girl’s point of view, the near freezing temperatures were, at times, a little overbearing, but I survived it by layering strategically for effortless yet chic looks! The formula that I tested and tried for a foolproof outfit consists of 4 layers on top – a layering long sleeve tee or tank top, a figure-hugging knit sweater, followed by a cowl-neck sweater dress, and finally finishing off with a knee-length coat. For the bottom, I was able to bear the cold with a pair of skin-tight fleece leggings on the bottom by pairing them with knee-high socks and boots to keep my legs and feet warm. A little tip – when layering, make sure to choose figure-hugging pieces for the inner layers because not only do they help to keep you from looking bulky, the tighter fit also helps keeps extra wind from getting inside, so you won’t get too cold too fast. One of my favorite looks from Fashion Week was this this cowl neck sweater dress and longline coat combination. Although I do wear these pieces in LA, I never wear them together because there’s just no need to! 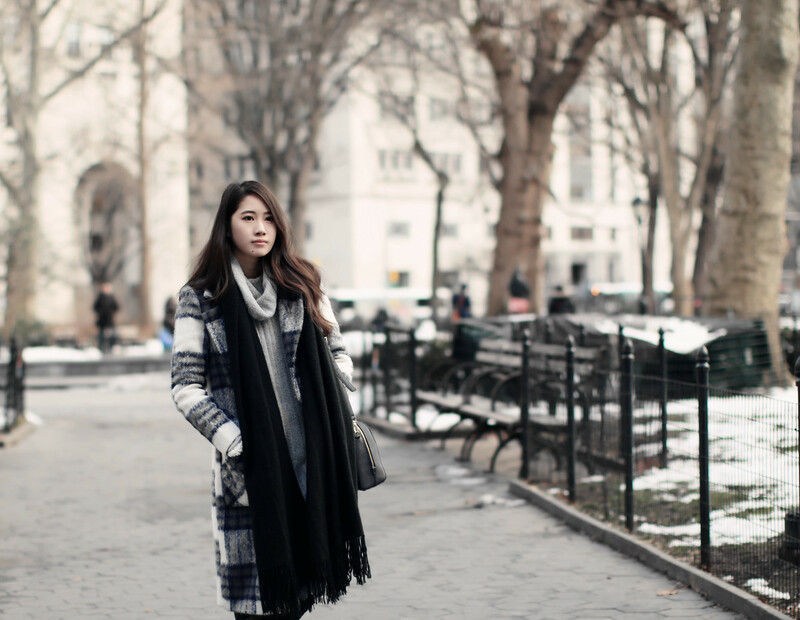 LA is known for its warm and sunny weather, and most of the time, cowl necks and longline coats are worn for fashion purposes, but in New York, I actually wore all of these items together for functionality! 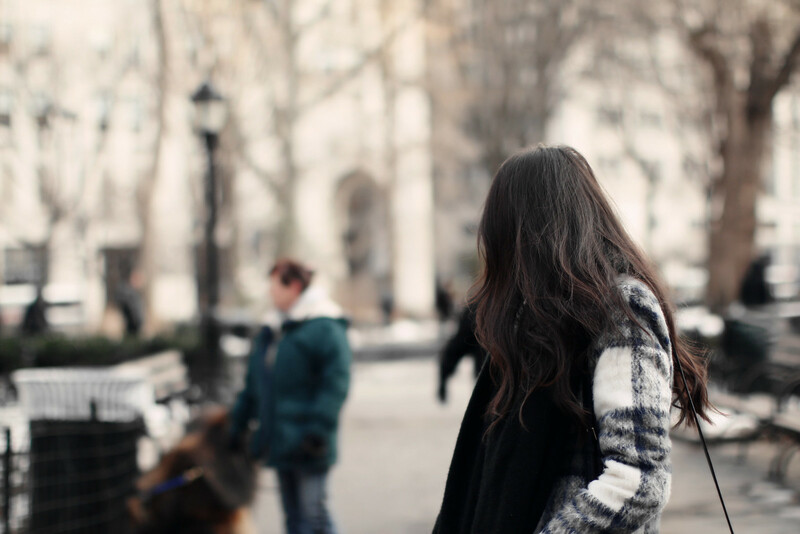 While Fashion Week is often characterized by exaggerated and trendy outfits, there really is no point in dressing to the nines if you’re freezing to death, right? Rather than rocking some of the top trends of the season, I like to stick to timeless and classic pieces, like longline coats, since they will never go out of style. In picking a patterned coat or one in a statement color, even a simple look can be instantly elevated to be super chic, don’t you think? So gorgeous! 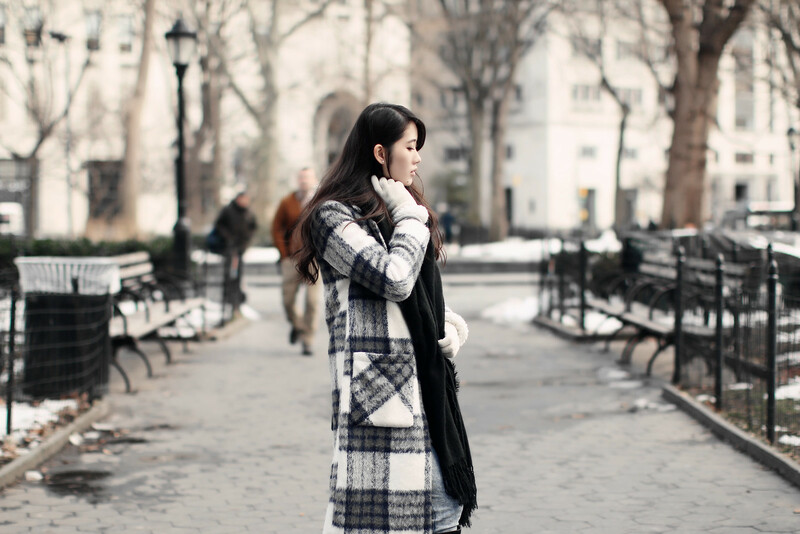 Love your coat – it looks super cozy! Thank you so much love ❤ 🙂 It kept me warm in the chilly NY weather! This coat sounds perfect and the location is beautiful! Lovely outfit. Perfect style for keeping warm! Love the classic black & white! Thank you so much love ❤ 🙂 I really did – it was an amazing experience! Love the coat, it’s really beautful in that print! Loving your look! Perfect for the cold weather! Such a gorgeous but warm winter look. Love the tone of the photos, beautiful captures! Gorgeous! Loving the fact that your scarf is the same length as your coat. Looks fabulous! Thank you so much love ❤ 🙂 Hahaha yea, that scarf totally saved me because it was so cold outside! Love your style! Beautiful photos! That plaid coat is super chic. Thank you so much love ❤ 🙂 It's been one of my favorites to wear this month!